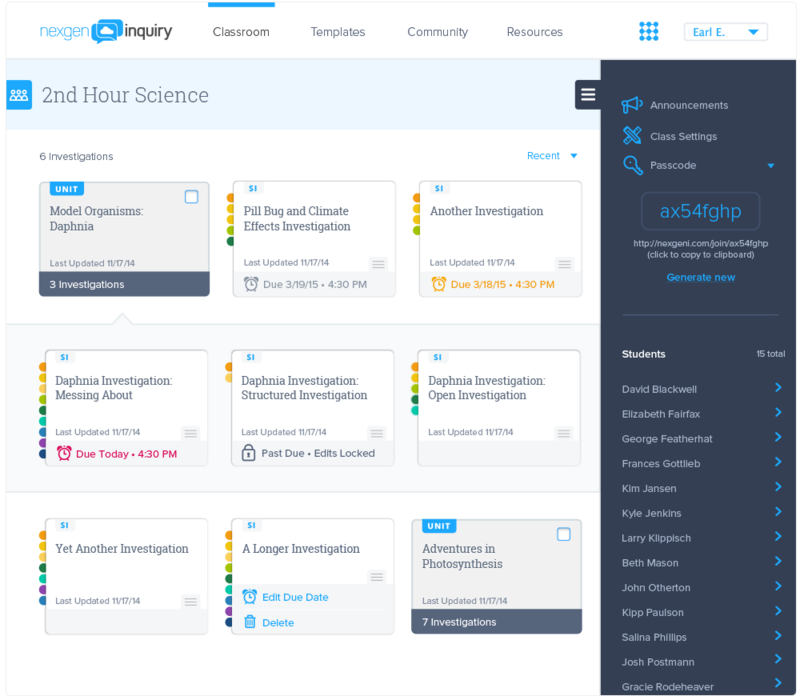 NexGen Inquiry empowers teachers to engage students in thinking and acting like scientists by bringing student-centered, inquiry-based science methods into the classroom. 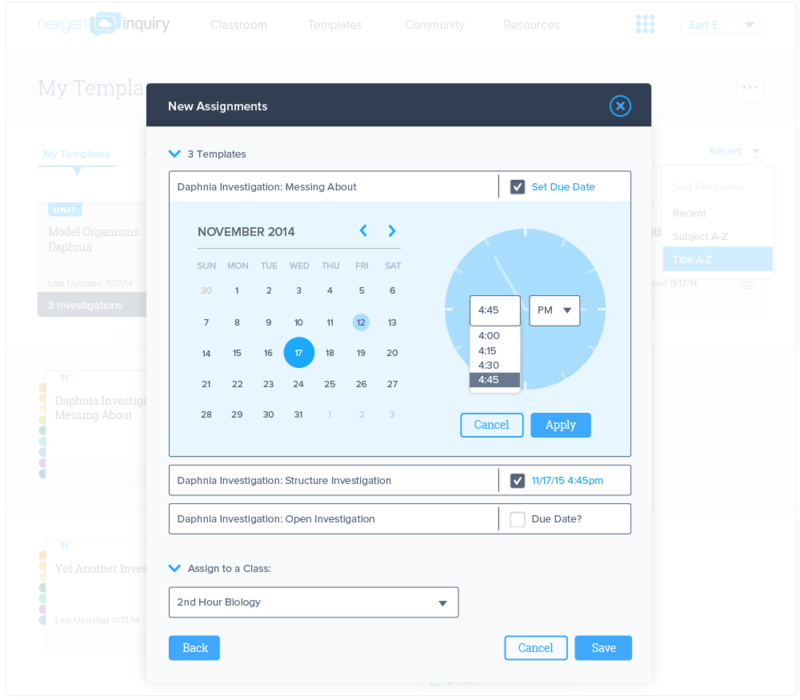 The NexGen Inquiry web app gives teachers practical tools to improve their science curriculum, with investigation templates and an online journal for each student. Van Andel Education Institute (VAEI) is revolutionizing science education by training teachers in inquiry-based science. 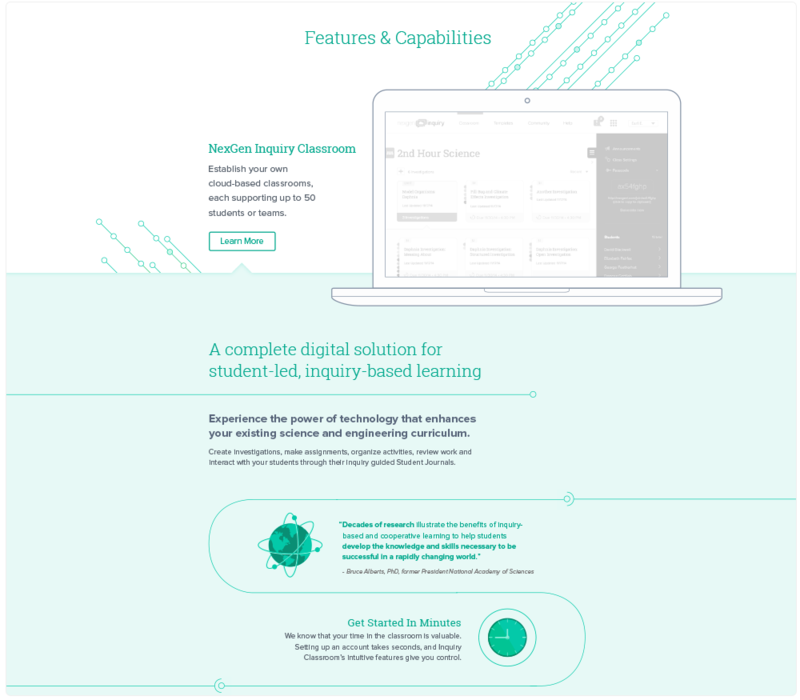 The NexGen Inquiry Teaching and Learning platform brings inquiry-based science into the classroom with a personal online journal for each student. NexGen Inquiry guides students through scientific investigations using the QPOE2 investigation organizer. It helps them collect and analyze data, create graphs using this data, and share results with other students and their teachers. Teachers can create science investigation templates, assign them to students, and respond to student work. The science journal has a custom-built spreadsheet tool for creating tables, charts, and graphs. It was designed to be accessible to kids as young as kindergarten, with built-in formulas and an easy-to-use interface. 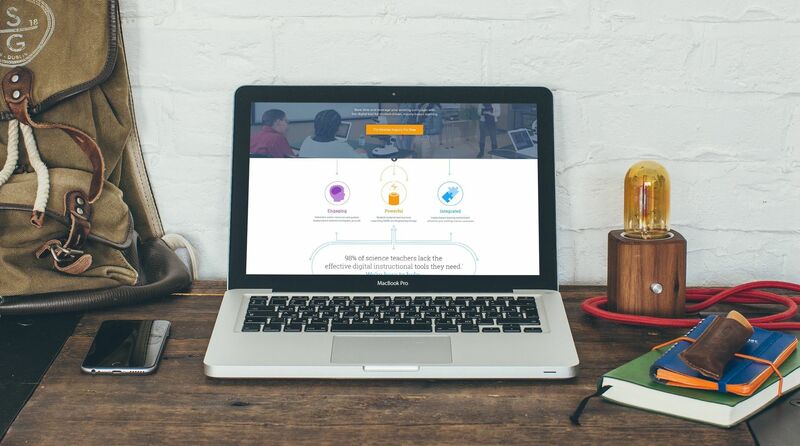 NexGen Inquiry includes a rapidly-growing online teacher community, where teachers can connect to share tips and advice. It also includes a resource library with professional development materials and support documentation in the form of quick-start videos and classroom materials. At the start of the 2016-2017 school year, the system was being used by more than 500 school districts. More than 2,500 teacher accounts and 15,000 student accounts have been created. 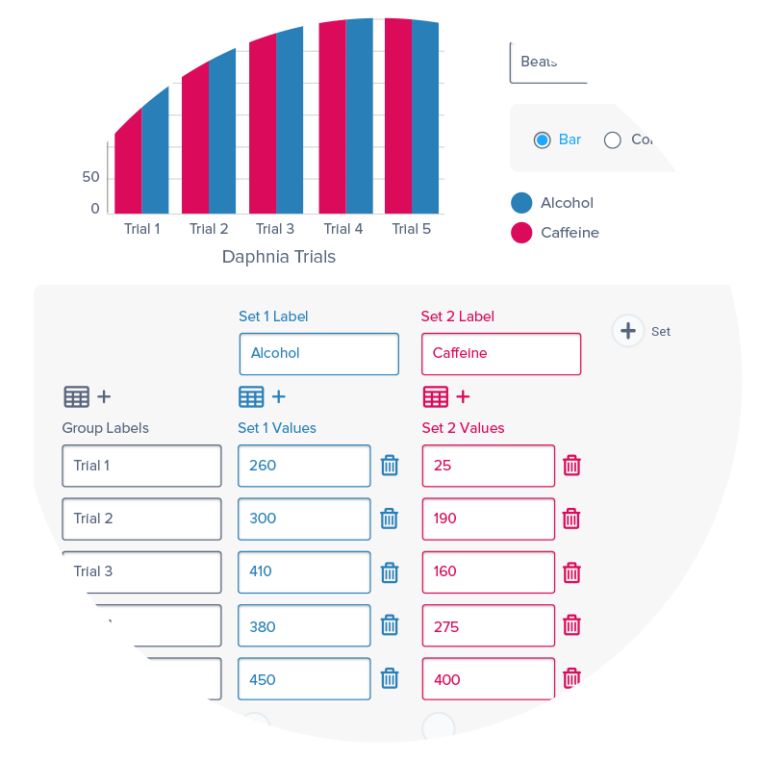 Teachers have created over 7,000 experiment templates. Atomic provided web application development and visual design for NexGen Inquiry, a tablet-friendly web app with a rich front end built in Ember.js with a PostGRES database. Atomic also created the NexGen Inquiry marketing website in Craft CMS.